Whether you are planning a caravanning holiday or you use a trailer for work, you need to make sure you comply with the law on towing. First of all, this means staying within your towing capacity. You cannot exceed the maximum towing capacity of your car or the trailer. In the case of trailers, its maximum authorised mass includes its own weight, so you will need to add that to the weight of your cargo. Your car's owner's manual usually specifies two weight limits: for braked and unbraked trailers. To tow over 750kg or more than half of the kerb weight of the car, you must use a braked trailer. If you only want to pull a small trailer taking rubbish to the tip, for example, a small hatchback can probably cope with pulling up to 500kg in weight. You can tow up to 1,400kg with a Skoda Yeti or VW Golf. 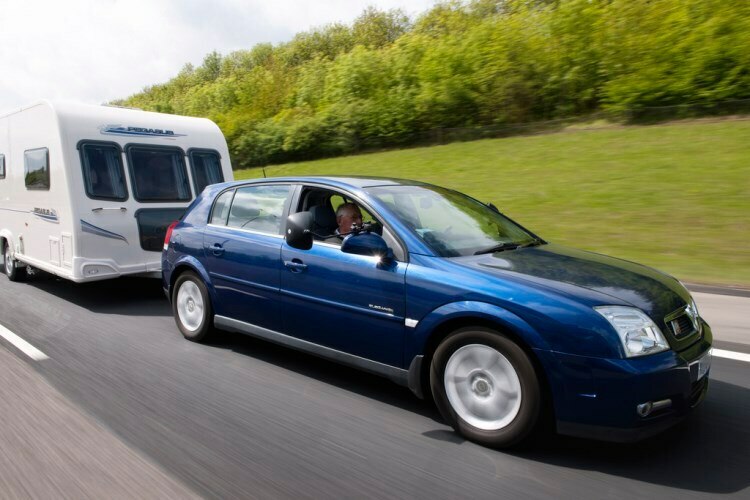 If you want to go caravanning, you'll need a car capable of towing a significant weight. Vehicles with a 2,000kg towing capacity should be capable, such as the Skoda Superb Estate, a Hyundai Santa Fe or a BMW 5 Series Touring. Large caravans with a twin axle may require extra pulling power, which usually means a big 4x4 or pick up. For towing weights above 2,000kg, there are a limited number of suitable vehicles, but the following can cope with towing up to 3,500kg: Land Rovers Defender and Discovery, Range Rover, Mitsubishi Shogun, Jeep Grand Cherokee, Isuzu Trooper, BMW X6, Kia Sorento, Toyota Land Cruiser, Mercedes-Benz GL and M-Class and the VW Touareg. If towing over 3,500kg for business use, you will usually need a tachograph, which is available as an option from most manufacturers. For towing horse boxes, you will usually need at least 2,000kg of towing capacity. Both horses and horse boxes vary massively in weight, so you will need an accurate measurement of the weight of each to work out your requirements. Your towing capacity is also limited by your licence. Holders of category B licences issued from 19 January 2013 are limited to a towing weight of 750kg, and a maximum weight, including the car, of 3,500kg. Licences issued between 1 January 1997 and 19 January 2013 enable drivers to tow a maximum weight of 750kg with a vehicle weighing up to 3,500kg, for a total of 4,250kg. You can tow above 750kg if the trailer weight doesn't exceed the weight of the towing vehicle, unladen, up to a total of 3,500kg. Pre 1 January 1997 licences permit a total combined weight of vehicle and tow of 8,250kg.